Happy New Year. y’all! Welcome to the ninth episode of The Fan-Damn-Tastic Marketing Show! In this episode I talk about the power of momentum, what it allows us to do once we have it and why it proves so elusive to build and sustain. At least it is for me, what about you? 1:55 – How Nick Saban builds momentum at Alabama by leveraging on-field success to create a stronger recruiting pitch. 4:00 – Alabama’s record-setting crowd for 2007 A-Day. 4:50 – Saban empowered Alabama’s fans and gave them a way to contribute to Alabama’s success, he told them how a big crowd at A-Day would help the program, and the fans responded. 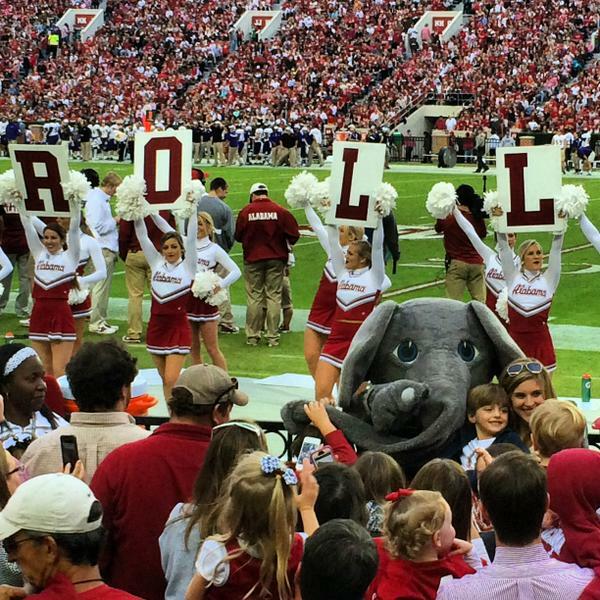 7:00 – The $51 Million Dollar recruiting pitch that Alabama makes to recruits. I hope you enjoy this episode, and if you have feedback, especially on how you handle this balance, please email me and let me know your thoughts! And if you can, please subscribe to The Fan-Damn-Tastic Marketing Show on iTunes, and I would *love* it if you could review the podcast on iTunes as well.